Ten years… TEN YEARS! 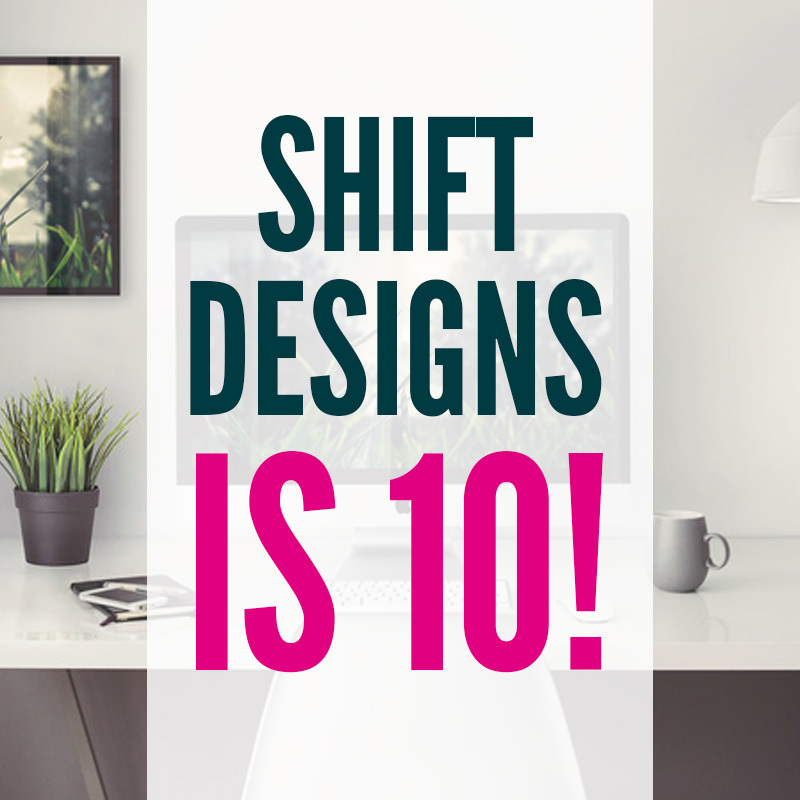 I can not believe that Shift Designs is 10 years old. It may sound trite but it does feel like yesterday when I struck out on my own & left my 9-5 life behind. While it may seem like time has flown by, a lot has happened and I’ve learned… A LOT. One of the biggest lessons I have learned is that working for yourself is HARD. It is hard work running your own show. There is no one to leave the work for to finish up. There is no one to troubleshoot problems for you…. It is you & all you. I will admit, there were a few tears here & there when I felt that everything was just too much. Would I change a thing? NEVER. So what does running your own show mean? I know for the other entrepreneurs out there, they know what I’m talking about but when it is just you, yourself and you… you wear many hats. For me, it means, that I’m not only the creative director, but I’m the producer, the designer, the curator and writer. It means that I’m the face of the company. I’m constantly out networking and going to at least one event per week. You never know who you will meet and you are only as strong as your network of people It means, you are your marketing team. I hold down the social media, the newsletter writing and of course, website design. I’m my own account manager. Not only do I seek out new clients, but I write proposals, maintain relationships and project manage between contract staff and clients. Lastly, I’m administration and IT. When something falls apart, I fix it. I ensure there are systems in place so that if something like my computer blows up (god forbid), it remains unnoticeable & I keep it moving. As well, I’m on top of all of my communications, filing, invoicing and accounts receivable. Man.. I’m tired just reading this. While that sounds like a lot, a lot of it is fluid and goes hand in hand. So while newbies may find all of that overwhelming.. My biggest piece of advice would be to create systems & ask for help. You are not an expert in everything and this is especially true in my case. While I went to school to learn how to design, I never learned how to run my own business. Schedules, systems and help are what keep my on track & going. I use schedules to create deadlines so that projects don’t just linger forever. I use schedules to write newsletters and manage my social media. I also ask for help. It is in 2 ways. One is creating a mastermind group of like minded people. In that group, we can discuss similar issues, concerns and lift one another up. Another way, is outsourcing work that you simply do not want to do or is not a great use of your time.. IE: book keeping & accounting. I’m a designer.. I like to create; make things pretty. I would rather poke my eyes out then filter through my receipts and log my expenses. I find that to be a great use of my outsourcing. On top of all of this. I have accomplished a lot. Vancouver AM: Was a Board Member – Director of Communications. Worked as an organizer for both Golf Tournaments and the Annual Breakfast Roast + designed monthly communication newsletter. DNA Vancouver: Board Member – Director of Marketing: Worked on revamping website + Overhauling the DNA Brand. Answer for Cancer Tour: Organized & Chaired kick off fundraising event netting over $10, 000 through auction & attendance. Today I run a Branding + Website Development Company. I focus on helping clients visualize their brand dream. I bring your concepts into a visual reality. Meaning, I work with you to create a visual representation of your business that attracts your target market so you can ultimately make more money & let you live your dream. I develop logos, marketing collaterol and websites. I can not only work as your go to Designer but Shift Designs is able to assist you with: Hosting, Print Services, Copy Writing and Digital Marketing. These last 4 items have been some things that I have been developing these last 2 years by putting vendors & partners in place. 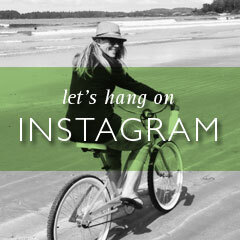 I want clients to be able to have an all in 1 experience when it comes to their brand. Everything is related & it is important for the brand to apply a cohesive approach to their marketing. Once a logo is created there are guidelines & standards that are applied to their marketing which can include printing + writing. When a vision is created from the ground up, no stone is left un-turned. Once a website is created, it demands optimizing & marketing. When a site is designed with these features in mind, a winning solution is created. It would be remiss if I didn’t touch upon the word design. I can’t stress that what I do for a living is design and not just create. The difference being is that I Create with Intention. When we create with intention, magic happens. It is true that anyone can put together a logo or a website. What I and my team at Shift Designs accomplish is creating a design that speaks not only to you, the client but to your target market insuring that the best possible solution has been achieved. I’m proud of my achievements and all of the hard work that I have put in these last 10 years. Over the course of the summer, I will be doling out advice based on my experience. From everything from where to start with your brand to networking to running your own show. I want to share with you what I learned so you don’t have to do it the hard way like i did. Contact Me today to see what kind of magic can create!